In keeping with tradition, I instantly had it bad for Portugal. 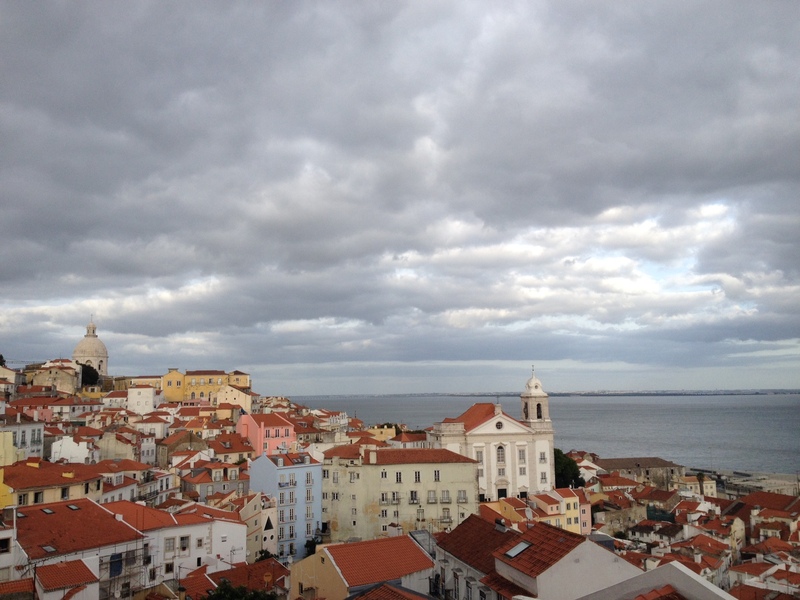 After only a few hours of aimlessly exploring Lisbon’s narrow, hilly streets, I was head over heels. I had no real agenda during my three days in Lisbon, and so spent the first following my whims, which largely amounted to chasing whatever music I heard. This led me to dim cafes where acoustic guitars strummed soulful fado, and the sounds of a clarinet performing a bluesy version of “Mr Sandman” led me to the top of a hill with a huge castle and a view of the entire city. Around every corner I found something new to charm or surprise me, and there was a timeless quality to the city, as if nothing had changed in 500 years except for the street art, serving to bring the buildings reluctantly into the present. Bem-vindo a Porto! What a cute little city, a day and a half was just about the perfect amount of time to spend there. The town itself is verrryyy chiquito, bisected by a river that flows in from the ocean, with the city center on one side, and a lot of port wineries on the other. Even if Porto itself hadn’t been so darn charming, with narrow cobblestone streets winding up it’s many hills, lots of parks with blooming trees/ flowers, and brightly colored tile facades on the buildings, I still would have loved it solely because I am always happier just being near the ocean.